DAPCU, AURANGABAD observed World AIDS Day’ 13 focusing on theme Getting to Zero: Zero new HIV infections, Zero Stigma & Discrimination, Zero AIDS related deaths. Organised Rally from Dr. Babasaheb Ambedkar Chowk to Zilla Parishad Kanya Prashala Ground at Vaiapur. 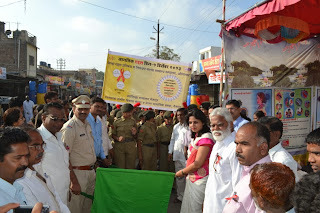 Rally was flag off by President of Municipal Council Smt. Shilpatai Pardeshi. Participants were NCC Cadets. Orchestra & IEC Activities on 4th Dec.
Orchestra organized at Shiv Chatrapati College. IEC activities were done through this Orchestra. 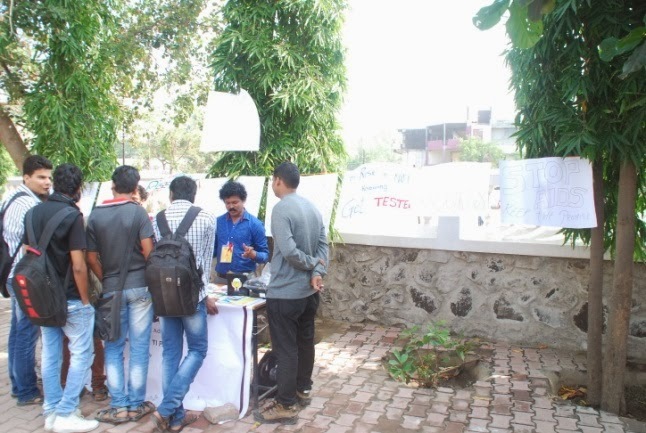 IEC stall arranged at that time and many student visit to this stall. 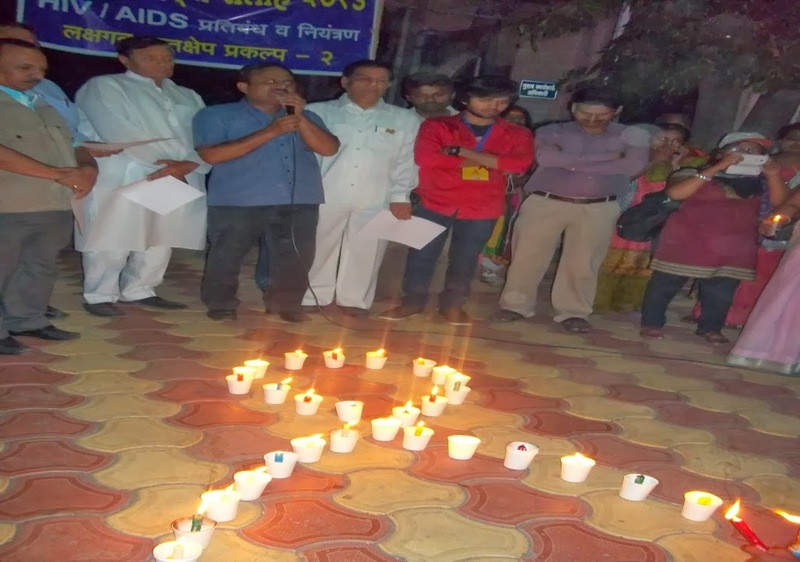 On World AIDS Day, organized a seminar at Dr Babasaheb Ambedkar Collage Aurangabad on the Topic of “ Stigma & Discrimination with people who are living with HIV/AIDS” During the seminar important inputs and technical details were explained by Mr. Mangesh Gaikwad DPO (DAPCU) covered all issues related to the HIV/AIDS, VIZ- role of youth, regarding awareness of HIV/AIDS and specially focus on stigma and discrimination and right of People who are living with HIV/AIDS is concern and distribute IEC material among all.